Natural gas fired plants burn the gas to heat boiler feed water up and convert it to steam for subsequent electricity generation. It is critical for the safety and performance of the power plant to monitoring and control the flow of boiler water feed lines. 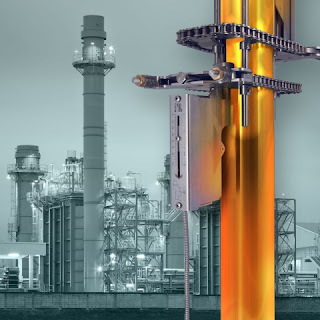 FLEXIM, a manufacturer of clamp-on transit-time ultrasonic flowmeters, offers it's high temperature clamp-on WaveInjector mounting fixture as a very accurate and reliable device that accurately measures flow, even at pipe wall temperature of 400 °C / 750 °F. Since the measurement system is completely non-invasive, there is no concern about the pressurization levels within the pipe. Furthermore, Flexim's component design doesn’t cause any pressure drop and eliminates the need for process shut-downs for installation or service. 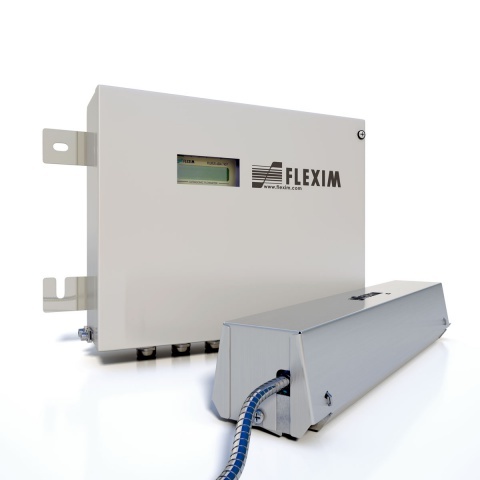 Flexim also offers a unique integrated technology they call "HybridTrek mode" which can detect steam entrainment in the feed water flows – a clear cause for decreased plant performance. Another area where non-invasive, clamp-on flowmeters are advantageous on fuel oil or feed gas supply. Flexim "Flexus" meters are also ideal to measure and monitor the flow of fuel oil or gas to the boilers to achieve the optimum efficiency. Ultrasonic flowmeter for harsh environments. For gas feed lines, FLEXIM developed a special transducer technology called Lamb wave transducers to offer the most accurate clamp-on flow measurement possible. The clamp-on measurement system is independent from pipe dimensions, material and wall thickness. There are no upper pressure limits and even on very low pressure lines, the flow meter is capable of carrying out a bi-directional flow measurement over a wide turndown range. By factoring in pressure and temperature (as well as the individual gas composition if needed), the FLUXUS gas flow meter outputs normalized flow rates. For more information on applying non-invasive ultrasonic clamp-on flow meters in power plants, contact Classic Controls by visiting https://classiccontrols.com or by calling 863-644-3642.